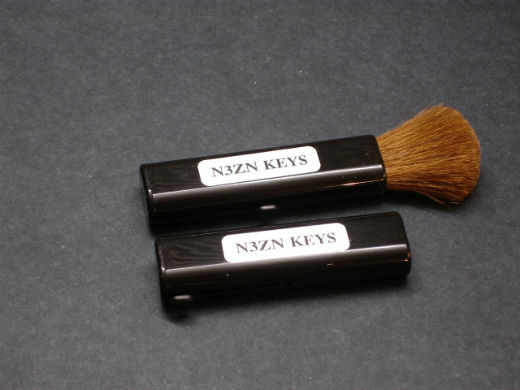 A "dusting brush" with soft bristles is all you need to clean the key. Simply dust off the key. 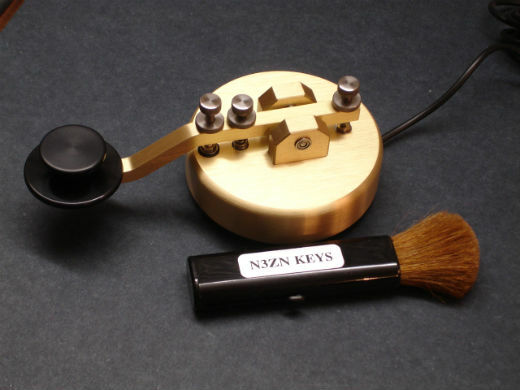 A brush without any metal parts is recommended to prevent the metal from scratching the key. My dusting brush has a plastic body and uses goat hair. This premium brush is also suitable for cleaning the lens on a camera. 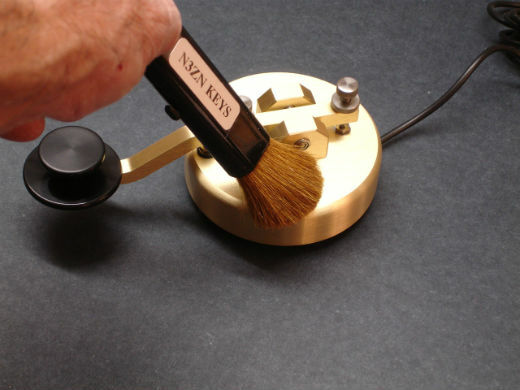 The brush is retractable to protect the bristles when not in use.